Naughty bits – those tricky passages in chamber music that appear out of nowhere, and which can trip you up when it was all going so well, even for the violist! The “naughty bit” might be a passage in a high position, possibly in the treble clef, a tricky rhythm, some awkward and unexpected accidentals, or a run of fast notes. But wouldn’t life be better if you had had a chance to practise those passages in advance? 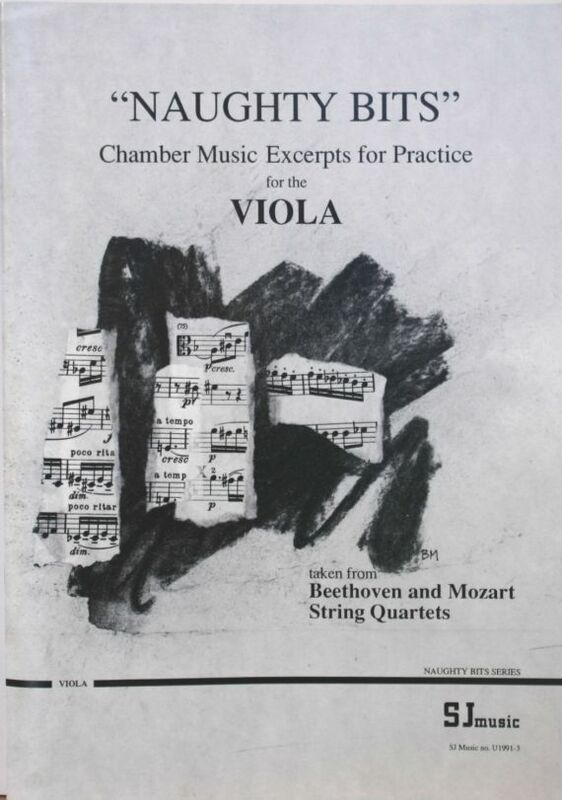 So here’s the solution: a volume of those awkward viola passages from Beethoven and Mozart string quartets, for you to practise, so that you can play them, already prepared for those “naughty bits”.